I love sharing my childhood recipes and stories with you. 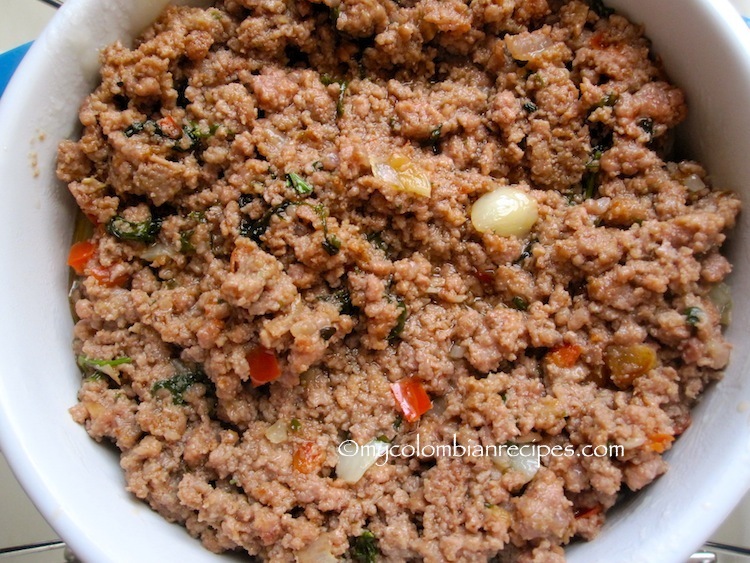 Colombian food triggers memories of my grandmother and the rest of my family as well. Sometimes while I am cooking a particular dish, I find myself smiling at the memories of Mamita in the kitchen. The pictures are so clear and vivid, that it’s as if I am there again. 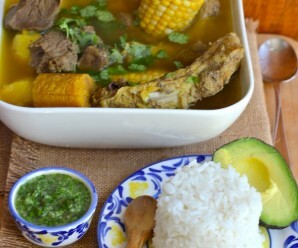 I can hear her voice and smell the fantastic aromas of her traditional Colombian dishes. 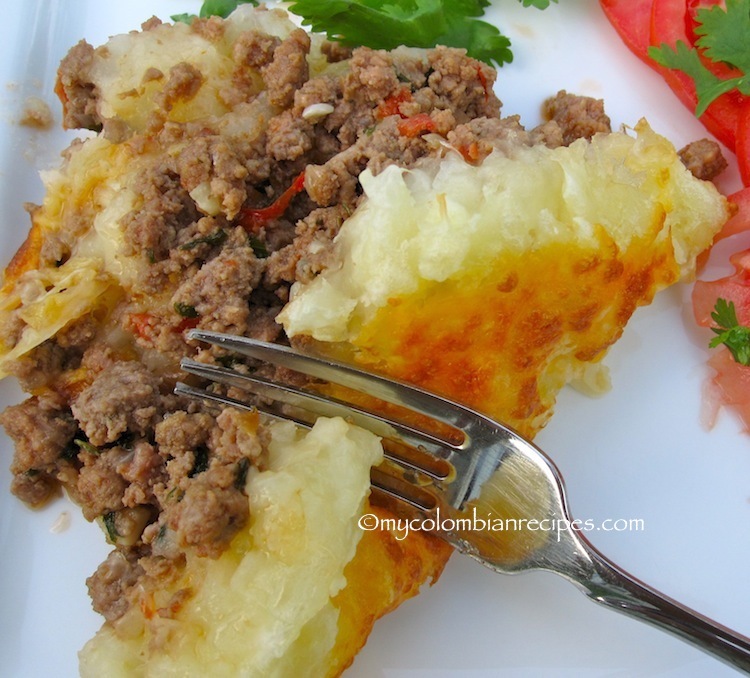 This Pastel de Yuca con Carne is a quick and easy meal. It is one of those dishes that reminds me of home, and a dish that you won’t often find on a menu in a Colombian restaurant. 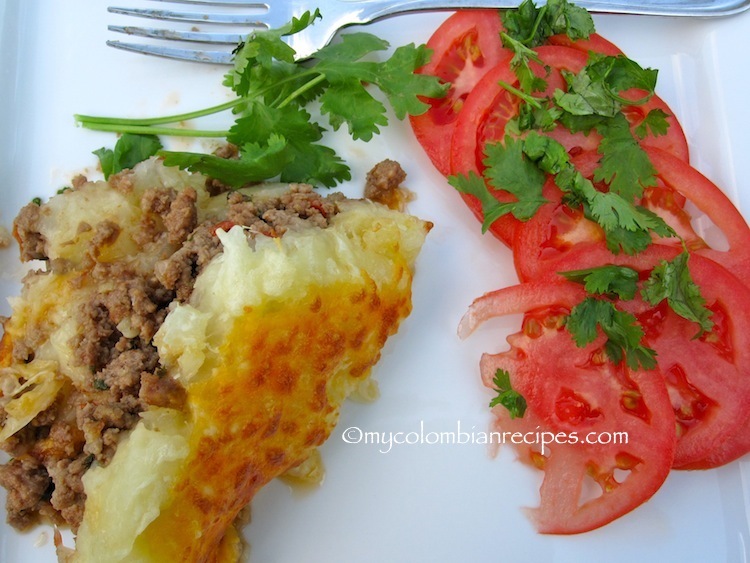 Home cooked Colombian food is comforting and satisfying. 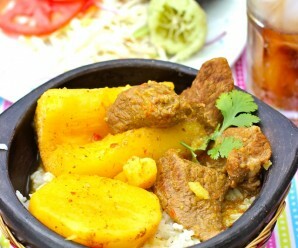 I Hope you enjoy making this Cassava and Beef Casserole. Feel free to replace the beef with the meat of your choice, or just use vegetables and cheese for a meatless meal. Buen provecho! Heat the oil over medium-high heat in a sauce pan. Cook the beef. 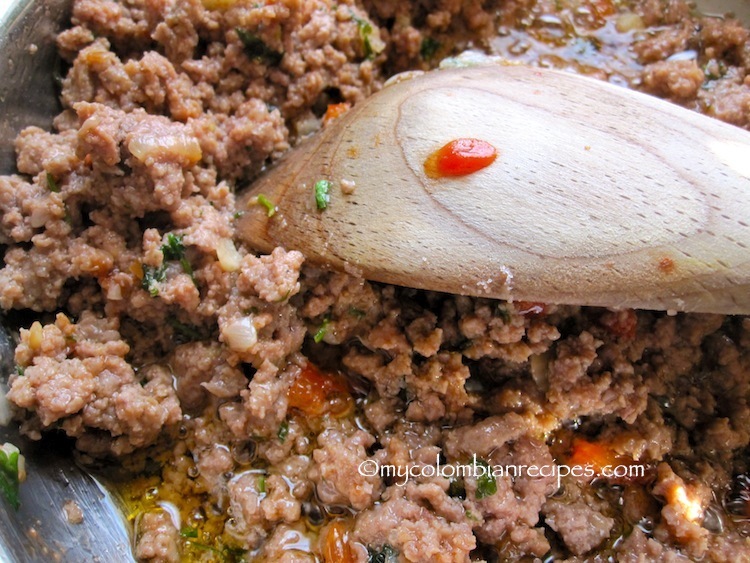 Remove the meat from the pan with a slotted spoon. Add the onions to the pan and saute until the onions are soft, about 5 minutes. Add the garlic and red bell pepper and cook for 5 minutes more. Add the tomato paste, cilantro, parsley and tomato sauce. Stir and cook for 2 minutes more. Season with salt and pepper. Return the meat to the pan and cook over medium-low heat for about 30 minutes until the beef is fully cooked. 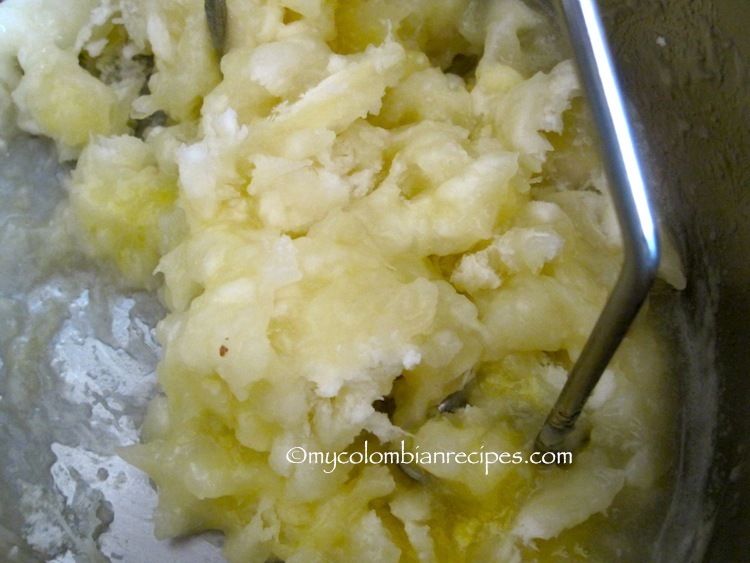 Place the yuca into pieces and place into a pot of cold, salted water. Bring the water to a boil and cook it until is tender, about 10 minutes. 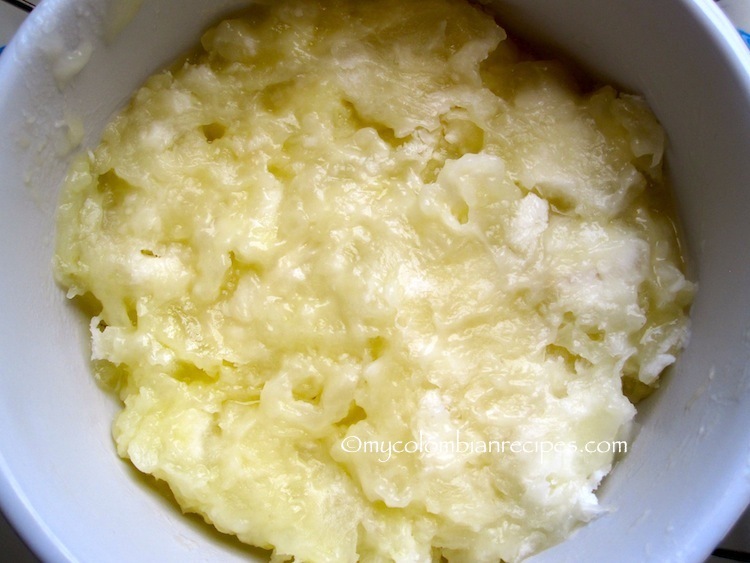 Drain the yuca and return it to the pot. Add the butter, milk and mash it to make a puree. Season with salt and pepper. 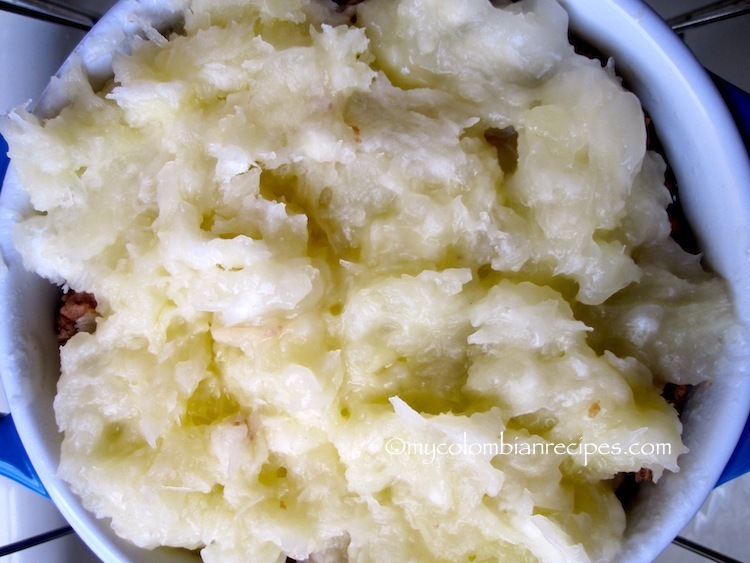 Spread half of the mashed yuca evenly in a baking dish.When the meat is ready, put it on top of the yuca and spread the remaining mashed yuca evenly all over the top. 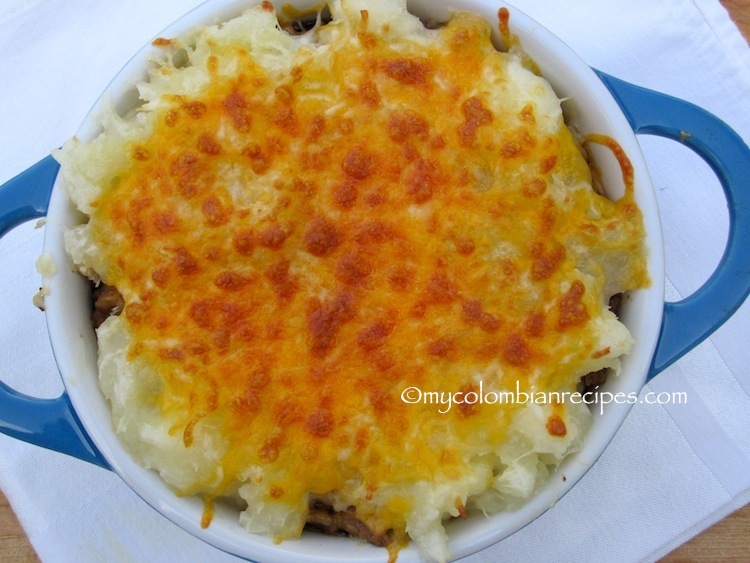 Add the cheeses over the yuca and bake the casserole until the top is golden, about 20 to 25 minutes. This looks like those perfect homecooked comfort meals! I love that you share these! Pure comfort food! My husband would love this. 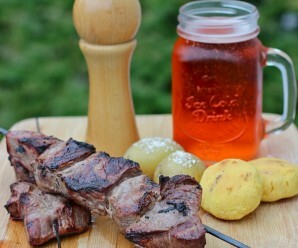 I know I could use something other than the yucca but I’ll have to look for it, it looks so good! That looks so delicious. I love one pot meals like these. Neat step-by-step pictures. I love this dish Erica…yours look awesome. This sounds really good – I like the cheese crust on top. I would love to try it with bison too! 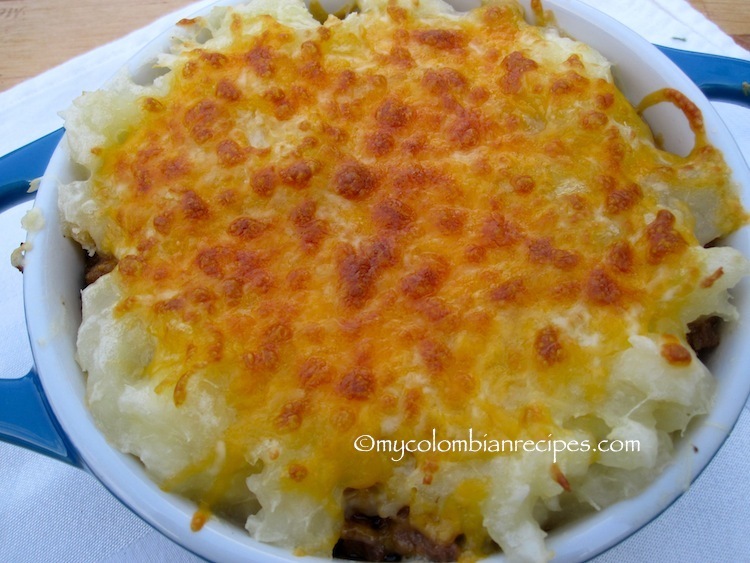 This looks fantastic, Erica, like a Colombian shepherd’s pie. Thank you so much for creating this website. 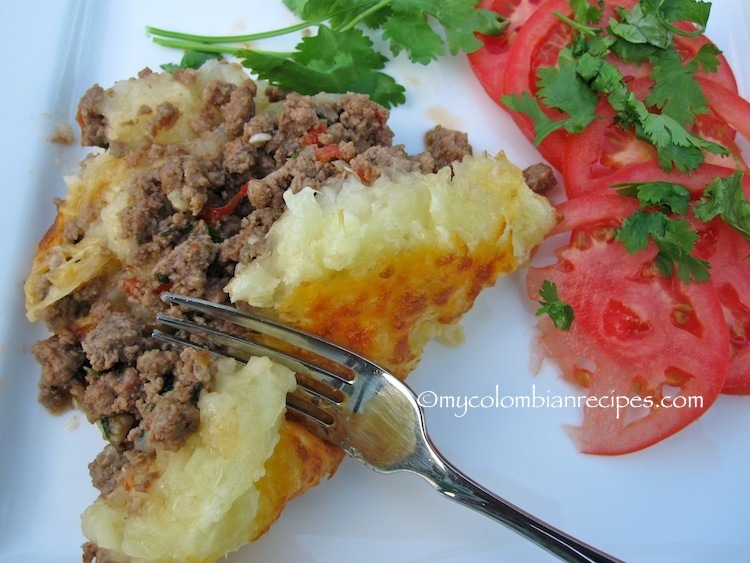 I lived in Colombia for two years and fell in love with the food and people. 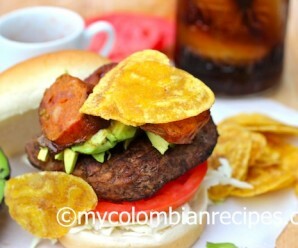 Your site, recipes and pictures help me bring Colombia back closer. The best. I love yucca and I love Sheppards pie. The unit of both is a South American delight.